I went out in the drizzle a couple of days ago to give my new MT-24EX a bit of a test. There's not much about these days, but I found a few things and also did a couple of stacks on some water droplets in the grass. Here are some of my best (and as I improve, some of them rank as my best macro work so far). 1. 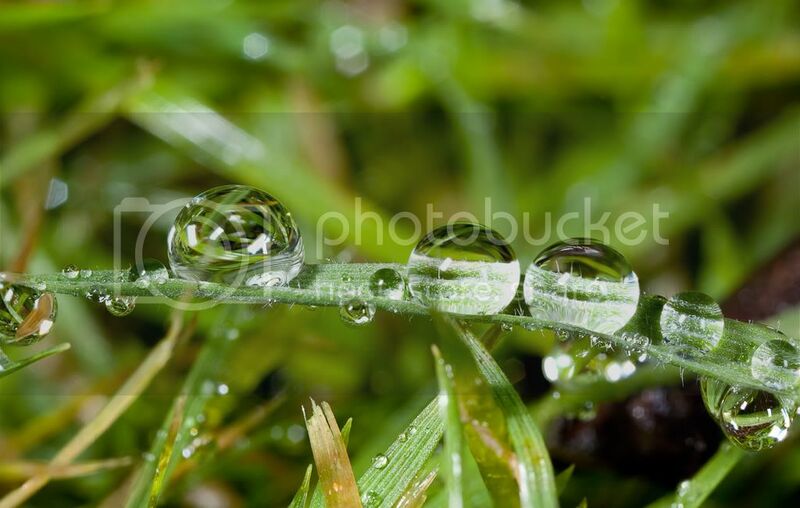 A three-shot stack of drops on a blade of grass. 2. 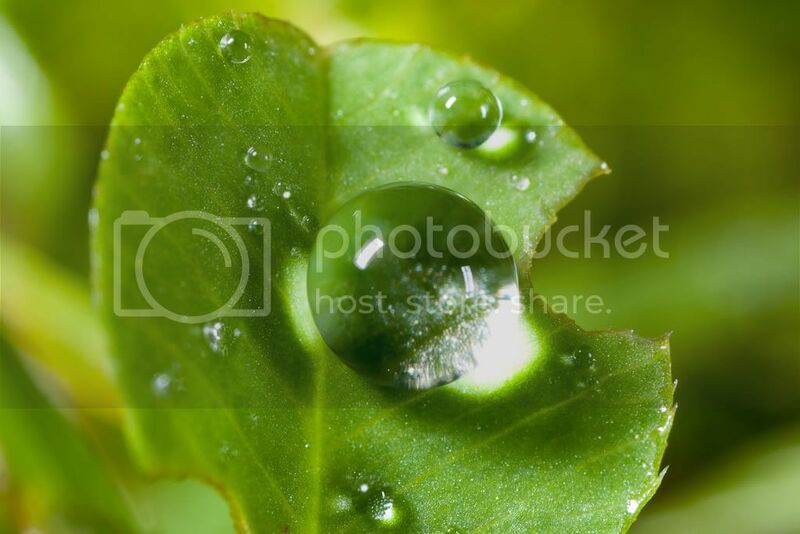 Two shots this time on a drop on a clover leaf. 3. 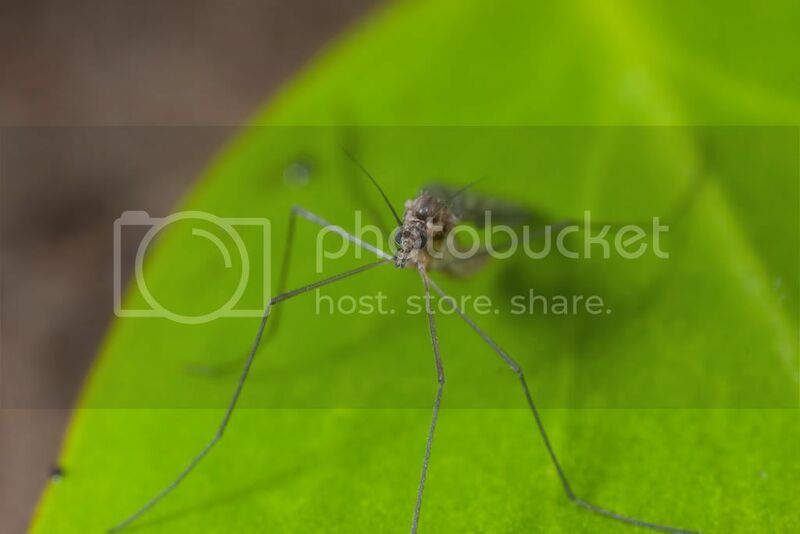 A six-shot stack of a small cranefly. 4. 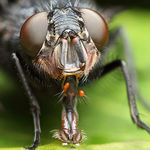 For those new to focus stacking, here's the difference - the single shot focused on the eyes. 5. 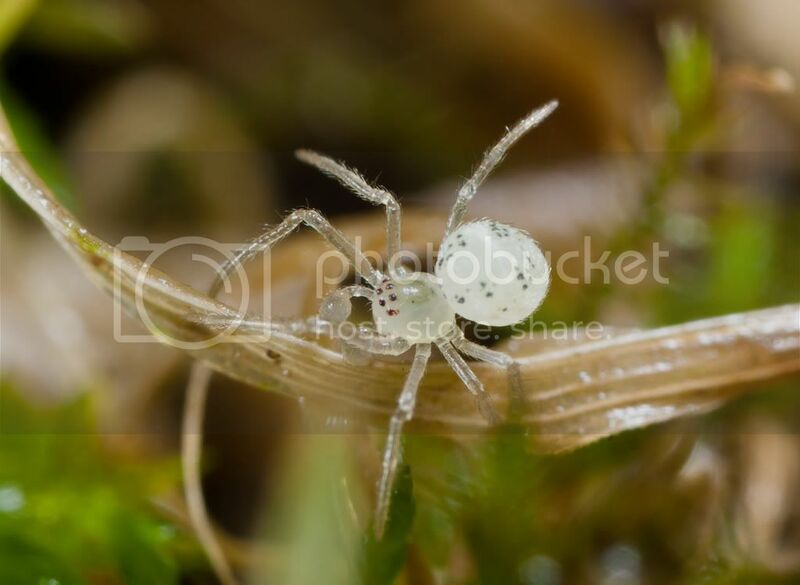 A single shot of a tiny spider, about 4mm bodylength, clambering around in the moss. If anyone has any idea about identity, or even whether it is immature or mature, I'd love to hear. Especially love #1 and the last two! Just curious...what happens if they move during a 3, 4, of 6 shot stack where you are focusing on different parts of the whole? Thanks, I'm still learning about this new hobby! Heros don't wear capes, they wear dog-tags! Canon 60D, Canon 18-135 EFS, 10-22 EFS, 55-250 EFS and EF 100-400 f4.5-5.6L Lenses, Kenko 2.0X PRO 300 Teleconverter DGX. sweet spider, I always think these tiddlers are juveniles but often get ID'd as adults. Superb shots. #1 stands out for me here. If they move appreciably, that's the end of the stack. 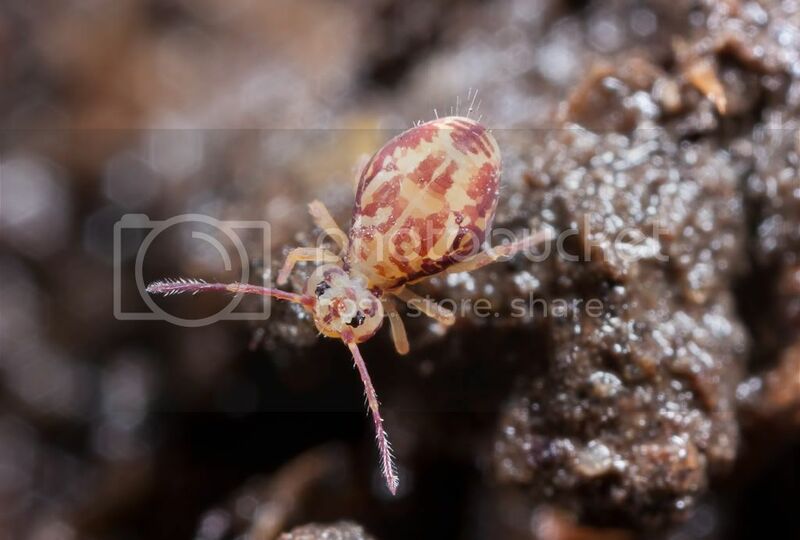 That's why the spider was a single shot, as he never stood still, and the small springtail has blurred legs, because I was just about to complete the stack by focusing on the end of his legs when he moved. Thanks Brian (and all others who've commented), I wanted to see how it looked "bare" first - I guess I'll have to try a few homemade designs. Nice series....that spider is really nice looking.